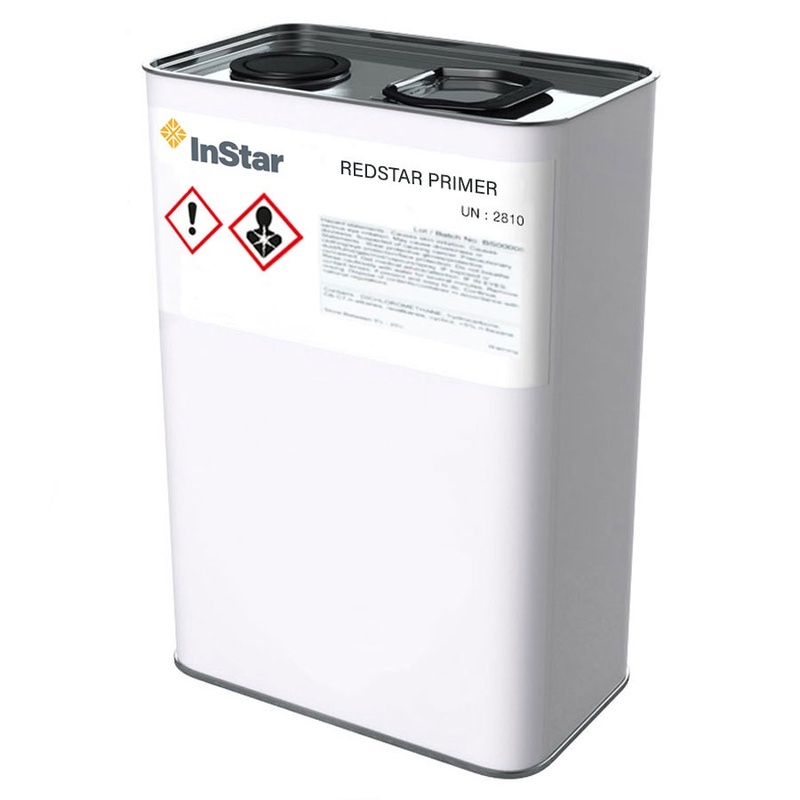 InStar RedStar SBS Adhesive Primer is a rapid drying primer. It is designed for use with Elotene DSN a self adhesive bitumen roofing membrane. It is intended for use on concrete and various porous substrates to aid initial and long term adhesion of the membrane particularly when application is taking place at the lower end of the temperature range (+5°c). • Apply thinly with roller in one sweep (the red colour will denote area treated) refill roller if “cobwebbing” occurs. • Avoid puddling of the primer. Available in 5 or 15 litre cans on request.